When you’re sipping on that well earned gin and tonic at the end of week at The Beach House, it probably hasn’t occurred to you that there’s a large number of people around you doing the same thing – and they’ve all got straws in their drinks. This is happening every day of the week, which means thousands and thousands of plastic straws are getting used – and the environmental impact adds up. 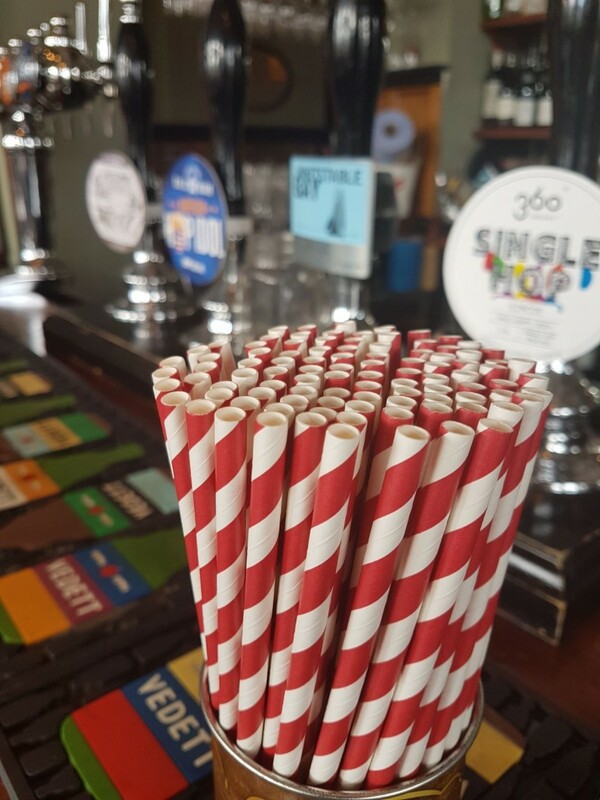 Well, no longer, as far as we’re concerned – we’ve banished plastic straws in favour of a much more eco-friendly alternative! Like other small pieces of plastic waste, straws can make their way into our rivers and oceans easily, causing havoc for marine life. A Gaurdian article recently reported that “Most plastic packaging items are used only once before being discarded, and globally only 14% of plastic packaging is collected for recycling. The remainder gets incinerated, landfilled or worse, with more than 30% leaking out into the environment. If nothing changes, there could be more plastic than fish in the ocean by 2050.” This is pretty scary, and we wanted to do our bit to reduce our use of single-use plastic items, which naturally led us to the replacement of our straws.